Xenoblade Chronicles landed in the UK charts in seventh place, but if you've not been convinced to pick it up yet — or if you've had trouble locating it — a new set of Let's Play videos hits the game's official YouTube channel this week. One new video launches today, while a second lands on Thursday. As before, be warned the videos might contain spoilers so if you're just starting your journey or want to keep it all a mystery, you might want to approach with caution. Our Xenoblade Chronicles review should also fill in the gaps about this fantastic Japanese RPG. XENOBLADE CHRONICLES: THE NEXT IMMERSIVE INSTALMENT OF LET’S PLAY VIDEOS! 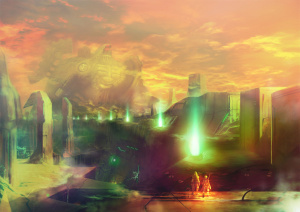 23rd August 2011 – Hot on the heels of the recent launch of Xenoblade Chronicles for Wii, fans and newcomers alike can discover even more about the game when Nintendo launches the next in the series of the Let’s Play episodes. Anyone eager to explore more of the expansive world of Xenoblade Chronicles should visit the Xenoblade Chronicles YouTube Channel to watch the brand new episodes, launching today and Thursday 25th August. After exploring the area of Bionis Leg, witnessing the attack on Colony 9 and crafting gems in the Ether Mine, in previous episodes, you can now enter back into the partially rebuilt Colony 6 and get a Non Playing Character (NPC). This character enables additional story sequences to be revealed on the Affinity Chart, perhaps forming a link or two on the way. The fifth episode will allow you to explore Colony 6 in greater depth, initiating more dynamic relationships with characters such as Dunban, who you will see becoming the party leader in this episode. Learn about the auras, which increase skills such as strength, accuracy and evasion techniques. As you are taken deeper into the game, the secrets of the Makna Forest are revealed - enter it immediately or once Melia has been recruited. Initiate transactions with the merchant Nopon race, uncovering the Arts and Equip menus in the process and discover the majestic secret areas using Riki as leader. Note about spoilers: the Let’s Play videos will show many locations, gameplay aspects and a few glimpses of cut scenes, but will largely avoid story spoilers. Nevertheless, viewer discretion is advised. 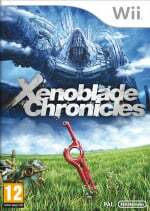 Now Xenoblade Chronicles has launched across Europe fans of engrossing adventure games can immerse themselves in everything this epic Wii RPG has to offer. Why don't you come over to my house and kick my dog as well. Maybe give me a paper cut and pour some salt into the wound. Why would anyone want to watch videos of it when we could be playing it? At last Nintendo really must not want my money. Tis a shame might never get to play this game! I mean how hard is it to translate from the European version!! Im with Corbs, but I have more colorful words. hey whats the possibility of an Wii U HD version of xenoblade? I have been pondering that idea after I wrote I in the comments. and If its possible maybe they can throw in some kick a** online feature! Dreams my friends, DREAMS! They turned out to be fairly helpful. This is good news. I sure hope this convinces gaming companies that games other then Call of Duty clones can sell in the U.S. if they're well made. Although Call of Duty clones sell even when they're poorly made. Lol. I'm with Corbs..tnx NOA :) :! I should just mod my Wii so I can play this game!